This is the post you've been waiting for! As we do every morning before Brian leaves for work, we prayed together on the morning of our fourth anniversary. Brian included the usual requests... and then he said, "And Lord, help our marriage to glorify you, and our family, too, soon." Now that our fourth anniversary has come and gone, I can say that we're officially in the home stretch before trying for Baby Dubs. It's going to be a good year. We're planning on lots of trips - to the beach, the mountains, to Michigan... and then to Maine. But I'm also planning on lots of vitamins. Doctors say to start folic acid supplements three months before getting pregnant. Well, HA! is what I say to that. I'm going to give it twelve! Going for a model neural tube here, people. I'll also be taking plenty of fish oil. And playing Mozart and Bach to my empty uterus. Oh, just kidding about that, but do you know what else I'm doing? I'm loading up on DAIRY. Cheese, yogurt, milk... and not just any milk, either. I'm going for the cheap, store-brand milk taken from cows who've been all jacked up on growth hormones for their entire lives. Because according to random Google searches that I'm assuming reference actual scientific studies (but am too lazy to verify), growth hormones in milk can cause hyper-ovulation. And we all know from health class (riiiiiight?) that hyper-ovulation means twins. Let's all pause for a collective, dramatic oooooooooooooooh. I'm serious about it, I really am! My morning coffee, which used to be flavored with a little bit of half & half and sugar, has now become a coffee-flavored mug of milk. I'm really trying. In fact, when I came home from the grocery store last night with a brand of milk I don't normally buy, I was dismayed to see "From cows not treated with rBGH," Come on, people! The only reason I'm drinking this stuff is for the rBGH! I need that synthetically produced bovine hormone! Dairy farmers, please! 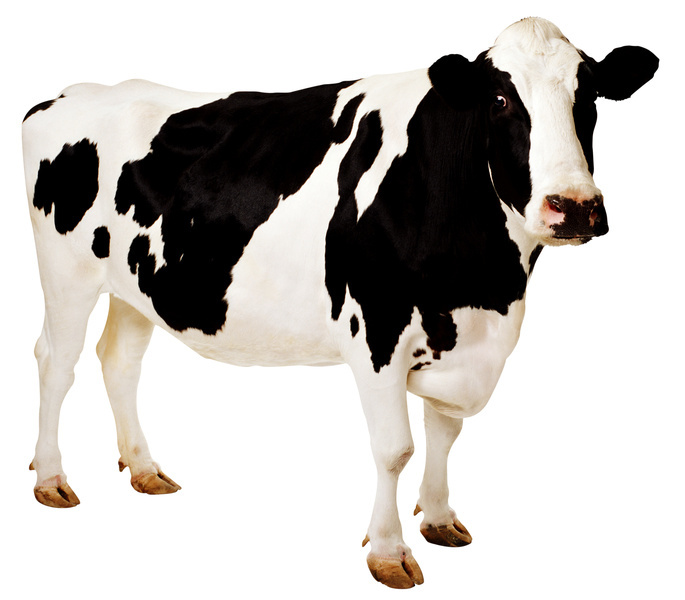 Unite for the cause of recombinant DNA, genetic modification, and artificially stimulated milk production! Ugh. You folks out there pushing for regulation... trying for all things pure and wholesome... you all are making life reeeaaally difficult for me during my final-year home stretch. And let me tell you what, you'll really pay when I get pregnant with a single baby. If I'm not lucky enough to get two for the price of one, what in the world am I going to be thankful for? This was greaaaat! Woo hoo for Folic Acid and fish oil, and yes, copious amounts of dairy products....!! !